The right dentures can make all the difference – in appearance, enjoyment of dining, and overall quality of life. At Richmond Family Dentistry, your dentures start with personalized attention that continues long after you leave the office of Dr. Hart. 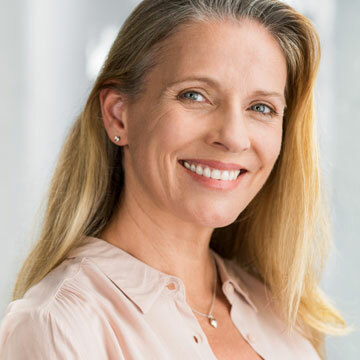 As a biological dentist, Dr. Olivia Hart is concerned with every aspect of your denture experience. She wants you to have a natural-looking smile that helps you feel great about yourself, while contributing to nutritional balance for a healthy body. Extractions – If removal of existing teeth is beneficial. Ridge augmentation – Sometimes, grafting is needed to supplement the bony ridge that supports dentures, or to shape bone for comfortable, secure fit. Design – You play an important role in selecting the shade of “gums,” as well as color, shape, size, and placement of teeth. Fit and adjustments – Expect several appointments as Dr. Hart takes impressions and meticulous measurements. Instruction – On the day dentures are inserted, you get unhurried advice on eating, drinking, and speaking, and caring for dentures and your mouth. Follow-up – You are scheduled for several return visits to monitor fit as your mouth heals and adjusts. Denture repair – Please do not try to fix a broken denture or modify fit yourself. You will likely damage the denture and possibly harm your mouth. Dr. Hart handles most repairs on-site, getting you back into your teeth quickly. Dr. Hart offers many options including partial dentures, full arch of teeth (upper or lower), and complete sets. Immediate dentures are inserted on the day of extractions, so you don’t have to go without teeth. Implant-retained dentures are held securely in place with four or more dental implants per arch. Dr. Hart’s dentures are made from the safest available non-toxic and metal-free materials. Contact Dr. Olivia Hart of Richmond Family Dentistry to find quality dentures that fit your smile. Click here to make an appointment now or call (804) 381-6238 to learn more.